Today, April 24, Paul L. Danove, PhD, STL, MDiv, BS, professor in the Department of Theology and Religious Studies, College of Liberal Arts and Sciences (CLAS), will present the 2017 Outstanding Faculty Research Award lecture at 1 pm in the Idea Accelerator in Falvey Memorial Library. 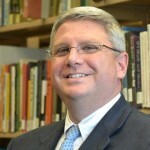 His lecture is titled “Semantic and Narrative Study of the Bible.” Dr. Danove will discuss some discoveries of his research on the Greek grammar of the Bible and his narrative studies of the Gospel of Mark. 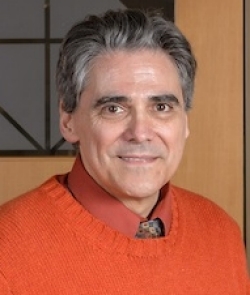 Dr. Danove has been a Villanova faculty member since 1994. The award recognizes “individuals who have established a national and international scholarly reputation in their field as evidenced by their publications in highly cited journals, invited presentations at national and international symposia, leadership in research consortia and centers, invited academic colloquium presentations, and similar scholarly activities that indicate stature in their field.” Dr. Danove received the Outstanding Faculty Research Award for his research and rhetorical analysis of biblical texts, as well as his research on the semantics of the Greek of the Septuagint and the New Testament. The Outstanding Faculty Award lecture is co-sponsored by Falvey Memorial Library and the Office of the Provost. It is free and open to the public. Light refreshments will be served. The Language of the New Testament: Context, History and Development. Rhetorical Criticism and the Bible. ATLA New Testament Abstracts online. Darren Poley, assistant director of Academic Integration, prepared this “Dig Deeper.” Contact information: office, room 230; telephone 610-519-6371. Dr. Danove’s photograph courtesy of Villanova University. Darren Poley’s photograph by Alice Bampton, Communications and Marketing. We are committed to accuracy and will make appropriate corrections. We apologize for any errors and always welcome input about news coverage that warrants correction. Messages can be e-mailed to alice.bampton@villanova.edu or call (610)519-6997.